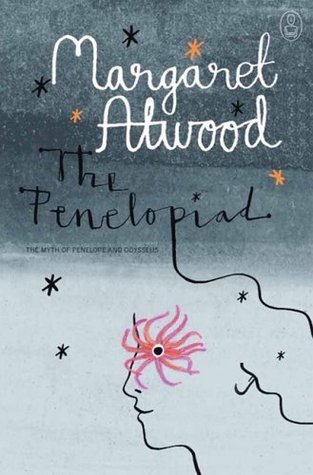 Published in 2005, The Penelopiad is Margaret Atwood’s re-telling of the Odyssey from the viewpoint of Penelope and her 12 maids. Or at least their version of the what happened whilst Odysseus is off fighting in Troy, leaving Penelope to fight off suitors convinced she is a widow and eager to lay claim to her and her wealth. I haven’t read The Odyssey but can say I really wouldn’t want to be Penelope – or any other woman for that matter – in Ancient Greece, especially a low-born maid. The story is told in the first person by Penelope from beyond the grave as she wanders through her afterlife, occasionally bumping into other players in the story like the infamous Helen of Troy. She comes across as sympathetic and intelligent if a little bit too naive. Her maids meanwhile sing their tale as a chorus line. They are mad. Rightly so. And also funny and witty. This book part of the Canongate Myth series which asks well- respected authors to re-tell myths in their own voices and you definitely hear Atwood’s voice in all the characters. This is a feminist tale of how women are treated and how hard it can be to be female in a man’s world. I’m not sure when I first read this book, not when it came out but at least five years ago, and it has always stayed with me. I remember finishing it and thinking I probably should read The Odyssey (I didn’t) and how clever Margaret Atwood is. I’ve mentioned before that I am a big fan but the way each book is different and her subject matter so broad means I never get bored with her books. At the same time, I did struggle with the flow of this a little as the maids singing was hard to read – I felt I was missing something – and most chapters were very short. I felt like I stumbled at times. When I revisited it, it was an audiobook and that really helped. I felt I heard the maids as they were meant to be read, in a singsong way and with more bitterness than I had ascribed to them. Penelope too came across as more forceful, more quick witted than I’d given her credit for – and more than a bit bitter too. The tragedy of the whole thing struck me more. In this, the narration definitely deserves credit. It was spot on, for me at least, and I’m really glad I went back to this book as a result. A recommended read (or listen). Thanks so much for this review. I’ve been eyeing this book, but I love The Iliad so much and I wasn’t sure how Atwood was going to deal with Penelope. I’ll perhaps have to bite the bullet and read it. I may be pleasantly surprised.